Jaime Lannister. . HD Wallpaper and background images in the Jaime Lannister club tagged: game of thrones season 3 jaime lannister nikolaj coster-waldau kingslayer ser jaime. 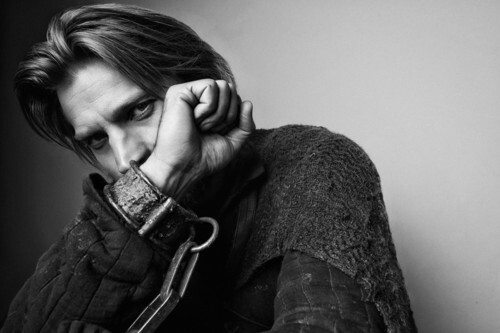 This Jaime Lannister photo might contain prendas de vestir exteriores, overclothes, prendas de abrigo, ropa de abrigo, manchó, abrigo de la caja, caja de capa, hip boot, and thigh boot.